What’s different about these retreats versus one of our other advanced beginner / intermediate retreats? When Surf With Amigas was founded, the original goal was to provide high level coaching to ladies that already knew how to surf but were looking to work on perfecting maneuvers – deeper bottom turns, top turns, cutbacks, nose riding, and even learning to get barreled. Of course there are a lot more ladies out there that want to learn to surf or are still working on figuring out how to ride a green wave, so we transitioned to focusing on that. While we absolutely love helping ladies catch their first waves, or drop into their first green waves, and welcome all levels of surfers on the majority of our retreats, we are super excited to dedicate some retreats exclusively to ladies who are past those steps and looking to become “expert” surfers! 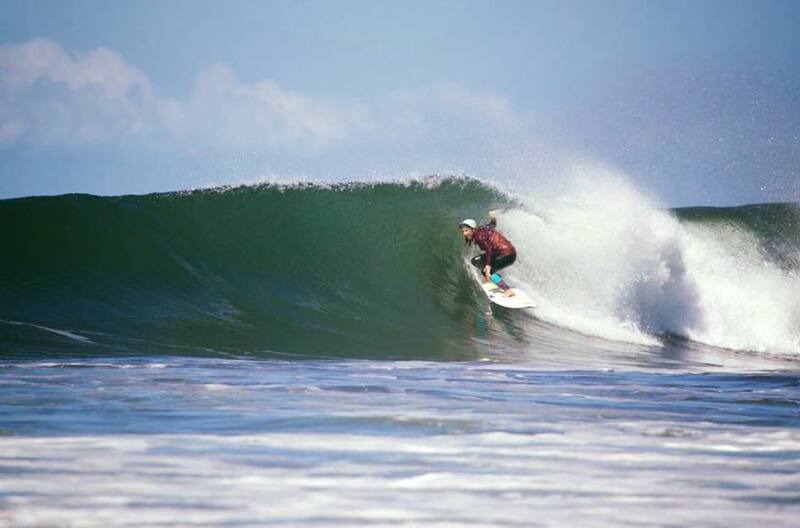 While all our retreats include high level coaching and can accommodate advanced surfers, these advanced retreats are open to more experienced surfers only. No beginners. 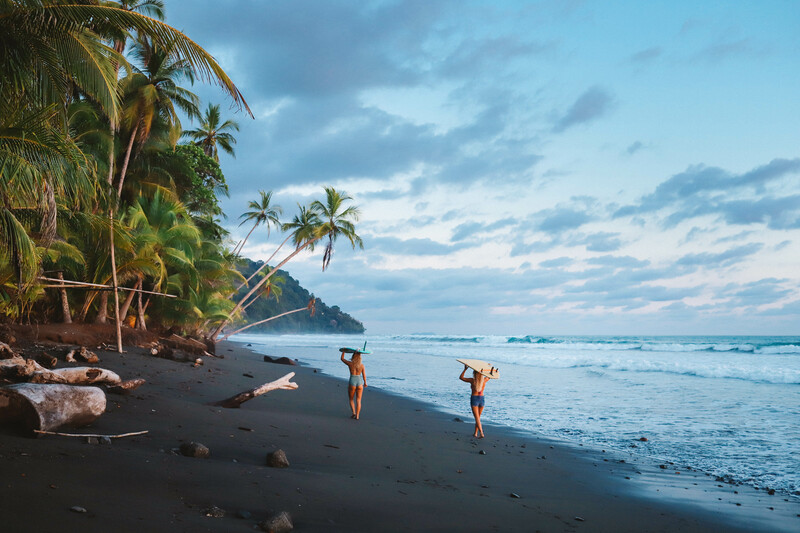 We are committed to getting surfers into the very best waves available that day, which means more traveling to different surf spots – walking, driving, or boating depending on tides and conditions. All our retreats are scheduled around the surf. If the waves are best at high tide and the tides are high midday, we’ll do yoga in the morning and surf after. Then we’ll horseback ride at the low tide in the afternoon. These retreats are no different there, although we will be doing fewer activities and more surfing. If the tide is low and the wind not ideal, we’ll schedule a “classroom” session to learn more about how to read surf forecasts, or the differences in surfboard materials and how that effects the way they ride. 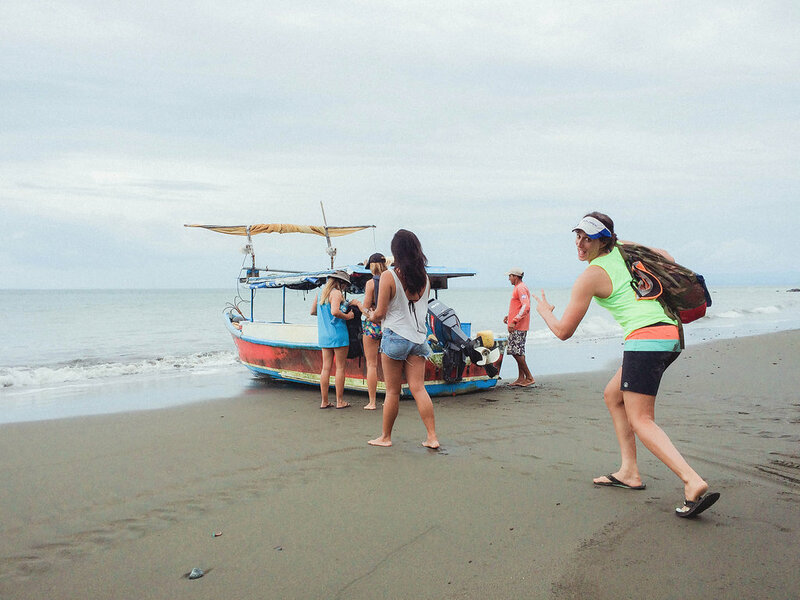 Consider these trips as “intensive surf clinics” vs “retreats”. On these weeks we have smaller groups. We stay at places where there are good waves. We’ll still do yoga and some other activities (you just can’t surf all day! ), but the absolute priority is surf, surf, surf, and talk about surf. Advanced retreats are more mobile than our usual style. We’ll still focus on choosing resorts within walking distance of at least one wave, but we’ll be driving and boating to get to a variety of spots, depending on conditions. We do not accept just anyone who asks about signing up. You must have either already been on a retreat with us so we know your level and think it’s appropriate, or you need to convince us that you already have the basic skills down. You just must be willing to push yourself a bit. Wipeouts will happen. That’s the point! You’ve got to go for it in order to improve! Some weeks are open to short boarders and long boarders, others will specify one or the other. The coaches will be surfing alongside you. We will talk about where to paddle out, where to sit in the lineup, how to deal with any crowds we might come across, which waves to take, and of course give any tips to fix mistakes that we see while we’re out there, but the bulk of the coaching will come from the video coaching sessions. We’ll dive further into the surfboard – how do different shapes, materials, fins affect the feel of the way the board rides. We’ll break down the body mechanics of certain surfing maneuvers so that you understand better what you’re trying to do, and how to do it. We’ll explain how to read surf forecasts, how tides affect waves at different surf spots, etc.. We do all these things on our other retreats, but on these advanced-level retreats more time will be spent on these topics. Some sessions are co-ed, so you can bring your husband, boyfriend, brother, guy friend. Two way airport transfer provided you arrive and depart in our shuttle window. 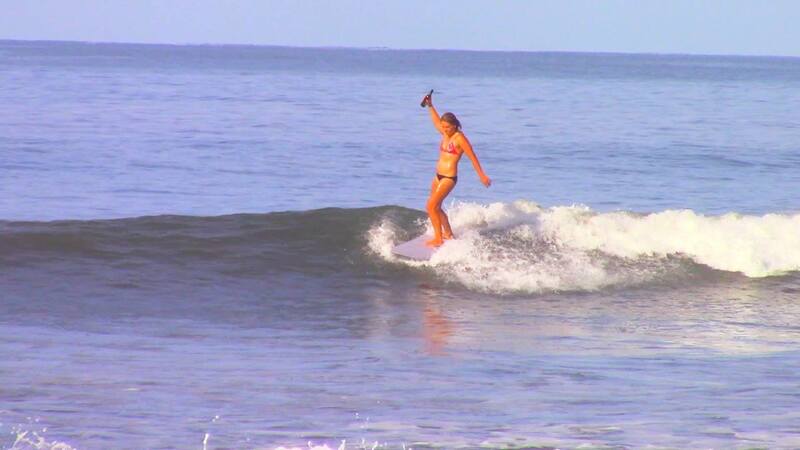 Some other activities for when the surf isn’t firing. The specific activities will be decided on a week by week basis. If you’re up for it, please join us! Contact holly@surfwithamigas.com for more info.